With so many amazing books out there I want to fangirl about, I've decided that instead of featuring only one book a week, I'm going to feature two! This way, I can make sure that I'm sharing even more fantastic books with all of you. I hope you enjoy it! How to Hang a Witch was one of the best-hidden gems of 2016. If you guys missed out on how much I loved that book, check out my review here. Also, I'm really hoping that a certain someone somehow revokes his "ghost" status in this story . . .
Adriana Mather is the 12th generation of Mathers in America, and as such her family has their fingers in many of its historical pies – the Mayflower, the Salem Witch Trials, the Titanic, the Revolutionary War, and the wearing of curly white wigs. 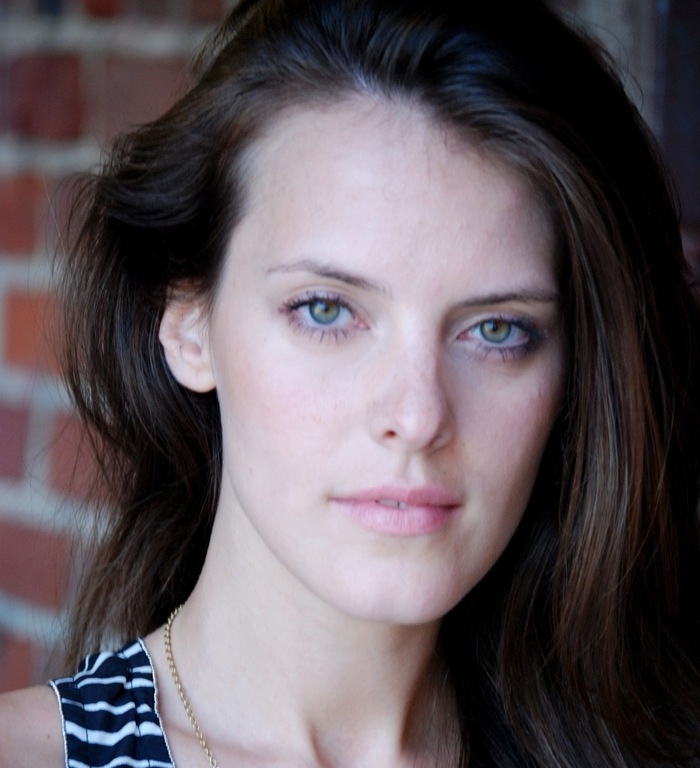 Also, Adriana co-owns a production company, Zombot Pictures, in LA that has made three feature films in three years. Her first acting scene in a film ever was with Danny Glover, and she was terrified she would mess it up. In addition, her favorite food is pizza and she has too many cats. The Wrath and the Dawn meets Snow White and the Huntsman in this dark and mystical East Asian fantasy reimagining of The Evil Queen legend about one peasant girl's quest to become Empress—and the darkness she must unleash to achieve her destiny. I feel as if I have been waiting for this book for my entire life. From the moment that the deal was announced, I knew that I wanted this book. I need more Asian-inspired fantasies in my life! And what's not to love about this one? Gods, witches, a crown, magic, and heartbreak? Sounds like the perfect book for me! What about you guys? Are these books on your TBR? Is this the first time you're hearing about them? Let me know! Both of these look amazing. I love books about the Titanic, it's always been something I've been fascinated with, too. And now I'm eager to go back and read the first book---and surprised to hear this is a continuation! I'm not a big fan of the cover for FoaTL, but man that synopsis sounds amazing!! SO many things about it. Definitely high on my want-list!! Don't they? I can't wait to read them. YESSS! 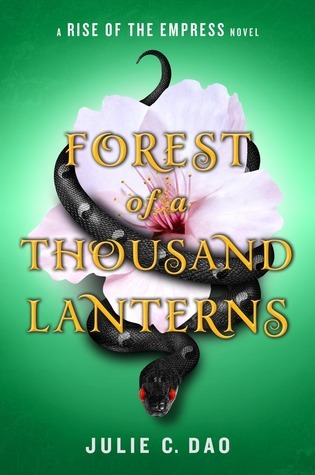 Cannot wait to read Forest of a Thousand Lanterns!!! I just feel that it's going to be amazing and giver of all the feels ♥. I have not read How To Hang A Witch but I'm excited to learn that its sequel is coming out soon. Will try to read it soon before this one comes out! Me too! I'm so excited to read it. I read the first chapter on Amazon and now I want it even more!! And you definitely need to read How to Hang a Witch, you'll love it! I hope you check out How to Hang a Witch! OOooh nice picks! Both are new to me ones but I will have to keep an eye on them! I'm glad I could introduce you to both of these titles. I hope you added them to your TBR! Both of these look and sound fabulous! I'll definitely be adding them to my tbr, so thanks for sharing! I too shall dance around in anticipation of FOTL! Both of these look so good! I didn't realize the first one is a sequel or companion to How to Hang a Witch, which I still need to read! Great picks! 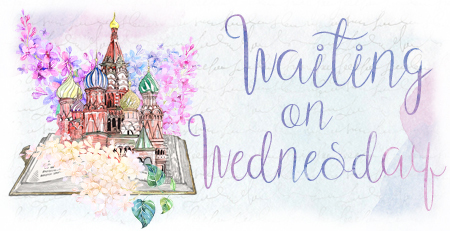 Thanks for visiting my Wednesday post at Lisa Loves Literature earlier! First of all.. I LOVE your blog layout. It's so pretty!! Forest of a Thousand Lanterns sounds so good. I feel like I rarely come across Asian-inspired YA too. Ooh I had no idea she was doing a second book for Samantha. Nice. I liked How to Hang a Witch so this one has me curious, especially since it involves the Titanic. Would love for that ghost to come back as well, but I want Sam to have a steady and real relationship. HOLD ON!!! Witches + Titanic and also Chinese folklore (or is it East Asian in general?) anyway I'M ALL IN! Both of these are new to me and both sound absolutely fabulous, so thanks for bringing them to my attention! Wow! Both of these books sound interesting, especially Forest of a Thousand Lanterns! I hope you enjoy both of these books! Both of these sound really good. I haven't heard of them before, but I really want to read them now. Too bad the pub date is so far away. I've not heard of the first one but I am looking forward to reading the second one! It sounds excellent and besides that, I love the light green cover. :D I hope you enjoy these books when you get the chance to read them, Brittany! Both are beautiful covers. I'm going to give how to hang a witch a shot. Forest of a Thousand Lanterns sounds AMAZING! And how beautiful is that cover!? GReAT choice!! Wow i've never heard of these books but they look amazing! I'm also obsessed with Titanic! I also just read your review of How To Hang A Witch and it looks amazing! 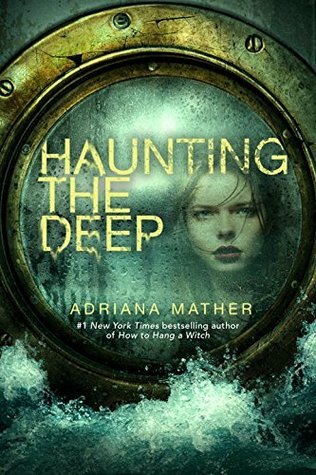 I love BOTH those covers, but especially Haunting the Deep. AMAZING cover! Both books sound pretty interesting! They're both new to me so thanks for highlighting them! Both of these sound awesome and I'm glad you liked How to Hang a Witch so much because I bought a copy not too long ago. I'm super excited for the next one especially given the Titantic feel. I have to be honest though - that snake is SUPER creeping me out. I CANNOT WAIT FOR FOREST OF A THOUSAND LANTERNS.